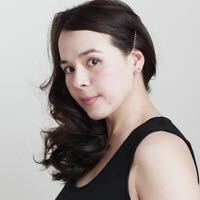 Sweet Sixteener Heidi Heilig recently spoke to Fearless Fifteener Kelly Jones about her debut MG fantasy novel, UNUSUAL CHICKENS FOR THE EXCEPTIONAL POULTRY FARMER (May 12, 2015 from Knopf Books for Young Readers). Kelly Jones is a curious person, interested in chickens, magic, farm life, spies, sewing, the odd everyday bits of history, how to make sauerkraut, how to walk goats, superheroes and what makes them so super, recipes to make with a lot of eggs, anything with ghosts (particularly friendly ghosts), how to draw chickens that actually look like chickens, and any story she’s never heard before. 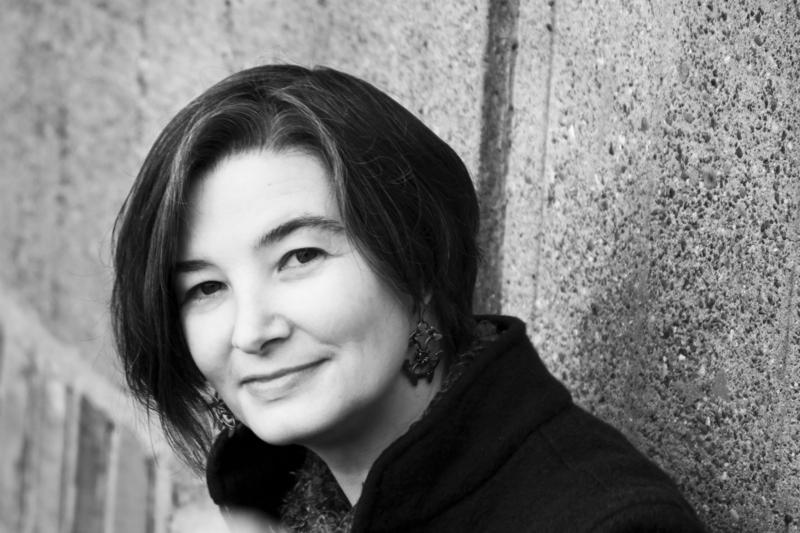 Find Kelly on her website, Twitter, and Goodreads. Twelve-year-old Sophie Brown feels like a fish out of water when she and her parents move from Los Angeles to the farm they’ve inherited from a great-uncle. But farm life gets more interesting when a cranky chicken appears and Sophie discovers the hen can move objects with the power of her little chicken brain: jam jars, the latch to her henhouse, the entire henhouse…. And then more of her great-uncle’s unusual chickens come home to roost. Determined, resourceful Sophie learns to care for her flock, earning money for chicken feed, collecting eggs. But when a respected local farmer tries to steal them, Sophie must find a way to keep them (and their superpowers) safe. Told in letters to Sophie’s abuela, quizzes, a chicken-care correspondence course, to-do lists, and more. UNUSUAL CHICKENS FOR THE EXCEPTIONAL POULTRY FARMER is available for pre-order from Amazon, Powell’s, Books A Million, Barnes & Noble, and Indiebound. Heidi: Chickens with superpowers: something I had never considered, but now can’t stop thinking about! How did you come up with your ideas? 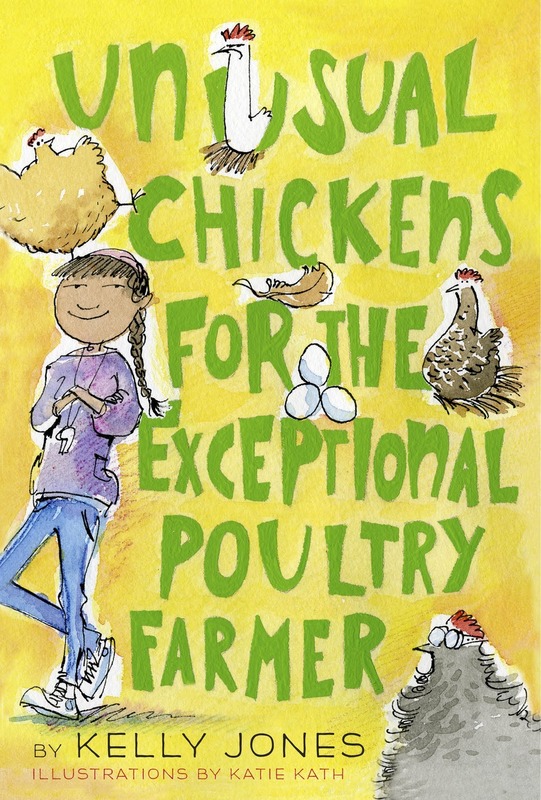 Kelly: Each book starts with a different mix of things… In this case, the main kick to the imagination was getting my own chickens! I was completely fascinated by everything they did, from bulldozing through the garden to telling the entire neighborhood every time anyone laid an egg, and I immediately starting trying to figure out what a really-useful-to-chickens superpower would be. Once I had an imaginary flock of superchickens, I wondered who would take care of them (chickens are really not very self-sufficient), and that’s when I met Sophie. Heidi: Your title grabbed me instantly, and the blurb was even more amazing! UNUSUAL CHICKENS… is told in letters, quizzes, and a chicken-care correspondence course, among other things. What was your process like, putting a book like this together? Kelly: My fabulous editor Nancy Siscoe is responsible for realizing that Redwood Farms’ tagline would make a much more memorable title than my original choice (I was calling it FARM GIRL). As soon as she asked me about it, I knew it would be perfect! Epistolary novels (written in letters) have always been a favorite of mine, and this book started out as a letter. But a letter is an interaction, not just a statement – who’s writing? Who receives the letter? What if no one writes back? As I started to understand Sophie better, I understood that this is a book about missing someone who can’t write back; that taught me a lot about Sophie’s story. From a practical standpoint, I really loved the writing program Scrivener for this project – it was great to be able to move bits and pieces around until I found the right structure. I also owe the copy editors at Knopf about a million thank yous for double-checking all of the letter dates against calendars, and of course Katie Kath did an amazing job of integrating all sorts of text bits into her art, from the flyers to Sophie’s rubber stamp return address. Heidi: Sophie is a fish out of water when she moves from Los Angeles to the farm. Have there been times in your life when you felt that way? Kelly: Absolutely! Like a lot of writers, I learned to write by watching people from the edge of crowds that I didn’t feel like part of. I felt like an observer, rather than a person in the story. Maybe that’s why those stories feel more interesting to me than the stories from the center of the crowd. Heidi: Your bio noted that you are interested in drawing chickens that look like chickens. What was it like, finding and working with your illustrator, Katie Kath? Kelly: Knopf found and hired Katie Kath, and I’ve only “met” her on Twitter, believe it or not! For me, it was really neat to see the world of my book through someone else’s eyes. I absolutely love what she created – especially her chickens. Favorite thing to do with eggs? Bake cookies! Preferably chili-chocolate chunk. E-books when I travel (I go through too many to pack); both when I’m home. Oddest job you’ve ever had? I run my own industrial jewelry business, Wraptillion; you can find my work in museum stores across the country. Super listmaker! Alter ego: the Enumerator. Heidi Heilig grew up in Hawaii where she rode horses and raised peacocks, and then she moved to New York City and grew up even more, as one tends to do. Her favorite thing, outside of writing, is travel, and she has haggled for rugs in Morocco, hiked the trails of the Ko’olau Valley, and huddled in a tent in Africa while lions roared in the dark. She lives in Brooklyn with her husband, son, and their pet snake. They do not own a cat. Her debut, THE GIRL FROM EVERYWHERE (Greenwillow/HarperCollins) is available Feb 16, 2016. Find her on Twitter.